Physics and astronomy junior Alec Wills, left, and biochemistry senior Kyle Brinkmann, above, are members of Delta Lambda Phi, a Greek organization for gay and bisexual males and allies. The organization will host their annual toy drive drag show Friday at the Student Activity Center. Editor’s Note: This article appears in a package focused on LGBT issues on campus. Click here to read about issues transgender students face and LGBT professors' perspectives on the campus climate and evolving UT policies. He joined Delta Lambda Phi, a fraternity that seeks gay, bisexual and progressive male members. The fraternity’s UT chapter, established in 2010, aims to provide queer students with mentorship and promote equality on campus. 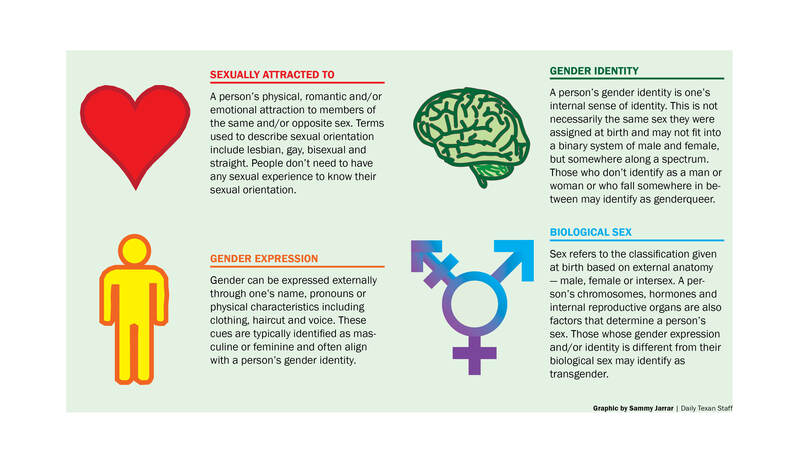 Members don’t have to be gay or bisexual, but they do have to identify as male. DLP is an affiliate member of the UT Greek system, meaning members participate in events with other Greek groups. Although their brotherhood resembles other UT fraternities, Wills said, as a gay student, he wouldn’t feel comfortable anywhere but DLP. Biochemistry senior Kyle Brinkmann, a DLP member, transferred to UT his sophomore year and was in search of a community he felt welcome in. While he was rushing DLP his junior year, he said the fraternity helped him gain the confidence to come out to his family. Although each member’s story differs, Brinkmann said everyone in the fraternity understands what it’s like to keep their sexualities or identities a secret. He said, sometimes prospective members are reluctant to approach the DLP’s table during recruitment for fear of being outed to their peers. On a weekly basis, the fraternity members go out to at least one social event together including mini-golf, parties or formals. Throughout the semester, the fraternity supports its philanthropy group, The Trevor Project, a nonprofit organization that focuses on suicide prevention among the LGBT youth community. During the campus-wide fundraising event Orange Santa, the group hosts a drag show toy drive. This year’s drag show will take place Friday in the Student Activity Center. Wills said he thinks the LGBT community is well-represented on campus. Student organizations such as Gaymers and oSTEM also seek to provide this community with a group of similar peers. He said he thinks the Austin community is accepting of the LGBT community, but there’s still more to be done. After gay marriage became legal over the summer, Wills said the next step is to recognize the LGBT community’s diversity.